1,000-year-old skull and severed right hand found in remote cave belonged to a person who died a violent death, probably as a result of a blood feud. Murder and revenge go back to the dawn of time, but the 1,000-year old skull and severed hand bones found in a cave in the Jerusalem hills are the first solid evidence of blood vengeance, say archaeologists involved in the excavation. The age of the remains was assessed using carbon-14 dating. 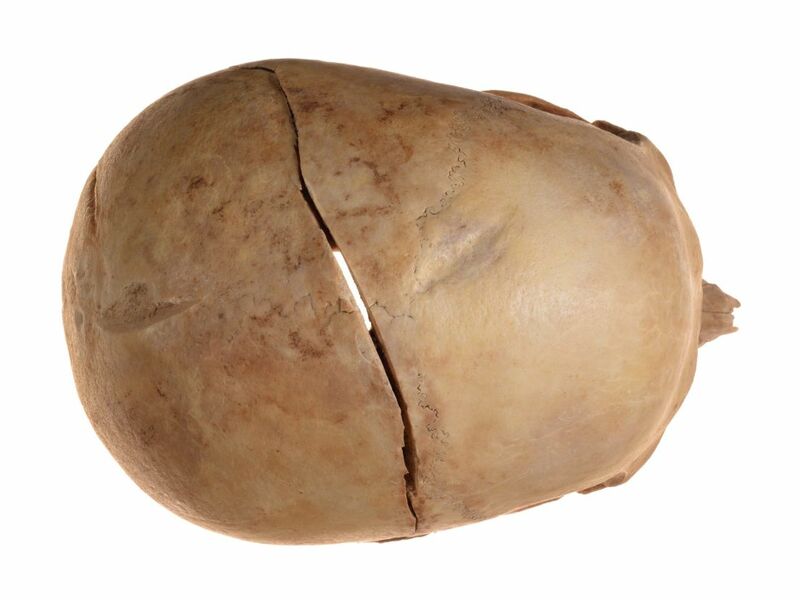 Indications that the skullcap and right hand bones indicate feud as opposed to humdrum murder and hurried concealment of the body, include the fact that few other human remains were found at the site. It is true that when the cave was found, the first discovery was that it had been looted, as often happens in Middle Eastern archaeological sites. "The thieves left the bones behind," says Dr. Yossi Nagar, an anthropologist at the Israel Antiquities Authority. It is hardly likely that there had been other bones that the robbers took with them, or simply tossed into the nearby wadi, he adds. The remains were carbon dated to the 10th-11th centuries C.E. But why would the discovery of the isolated severed head and right hand, found in a survey of the cave by Prof. Boaz Zissu of Bar-Ilan University, indicate blood vengeance specifically? For one thing, the head and right hand have symbolic importance going back in time, through to this day. Nagar cites an ethnographic text dating from the early 20th century describing a case of blood vengeance: a Bedouin family were given the head and right hand of one of their members who had committed a murder – the same body parts found in the cave outside Jerusalem. Also, the thousand-year-old victim had evidently been no stranger to violence himself. His skullcap showed two past injuries that had healed, as well as the mark of a sword blow that most likely killed him. 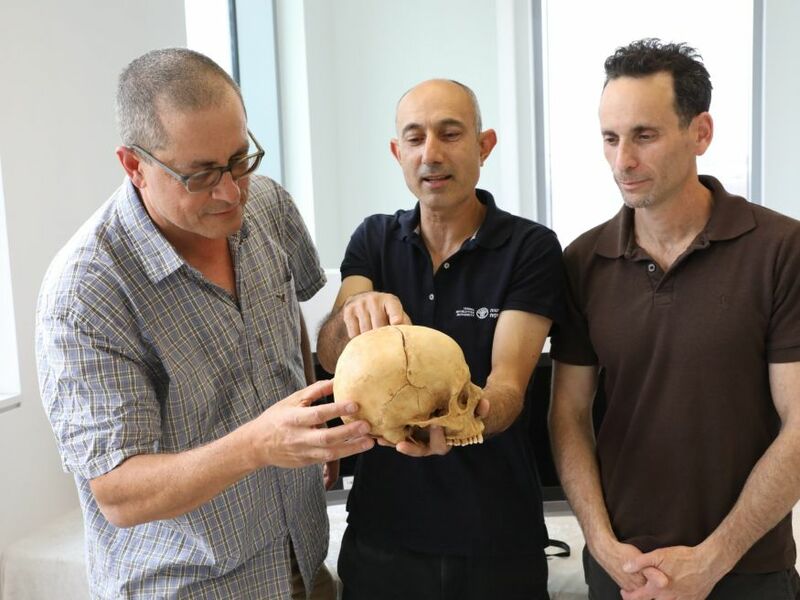 For what it's worth, the bones belonged to a person aged 25 to 40, say Nagar and Dr. Haim Cohen of the National Center for Forensic Medicine and Tel Aviv University. Circumstantial evidence for the popularity of blood vengeance lies in its prohibition in Islam, Nagar adds. There are many ancient texts about murder and vengeance, and the Bible goes to great lengths to curb it, but this was the first earliest physical evidence of the practice found so far, the researchers say. The only other bones found in the remote cave were two vertebrae. Nagar dismisses the hypothesis that hyenas or other scavengers carried off the rest of the body: there are no gnaw marks on the skull or hand bones. The looters also left behind pottery sherds dating from the Iron Age through to the mid-medieval timesage. Even so, the cave is unlikely to have been occupied, certainly not at the time the body dates from. It is located near the more known Avshalom cave, also known as the Stalactite Cave, and Mt. Shimshon. 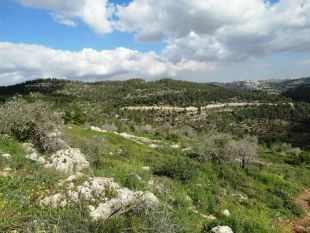 The newly discovered cave is in a not particularly hospitable area of the Jerusalem hills, and is not easily accessed, being located on a steep hill-face. It would have been a good place to discard the scorned remains. "No armies passed by there, no village was destroyed. This was inter-personal violence. The most likely hypothesis is that the skull and bones, specifically of the right hand, had been deliberately isolated in this remote cave," Nagar says. Indeed, at the time, the entire Holy Land was sparsely populated, he explains. "During this period, the only people living in this area were Bedouins, who originated in Jordan and Saudi Arabia, and were encouraged by the Fatimid rulers to move there," Nagar explains. "The Fatimids wanted a supportive population by the coast, where they had difficulty enforcing control." The cave is near the famous Avshalom Cave, better known as Stalactite Cave, and Mt. Shimshon. The findings of the study, conducted jointly by the Israel Antiquities Authority, Bar-Ilan University and Tel Aviv University, will be presented Thursday at the 44th Archaeological Congress at Ben-Gurion University of the Negev, in cooperation with the Antiquities Authority and the Israel Exploration Society.